It’s been thirty years since Diego Maradona scored the “goal of the century” in the quarter finals of the 1986 World Cup against England (no, not that goal, the other one). 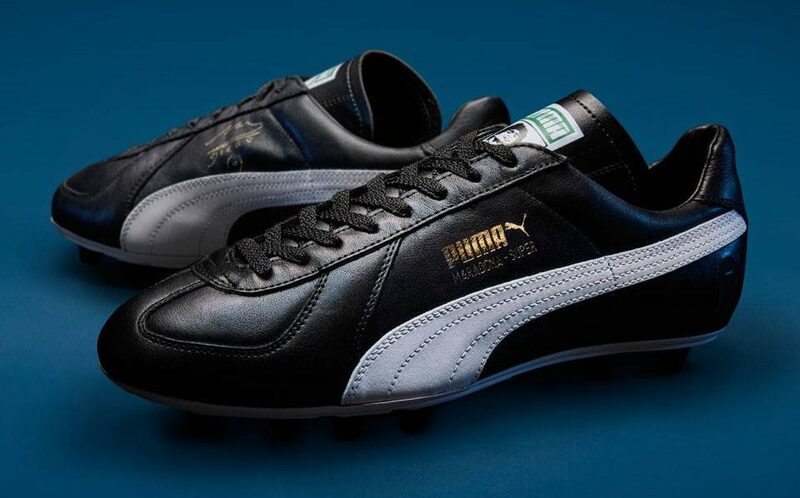 To celebrate the majesty of “that goal” and Maradona’s performance in the Mexico tournament, Puma have broken out the “way way back machine” gone into the archive and created the perfect homage to “that goal” by bringing back the boots which scored them. That’s right the King Maradona Super has returned. Now if there’s one thing Puma do exceptionally (and they actually do many things) it’s limited edition releases of boots from their classic catalog. Remember last year’s Menotti Star? It was positively scrumtrulescent. This years release is on the same level. As with any limited edition release the devil is in the details, and Puma don’t spare the details. 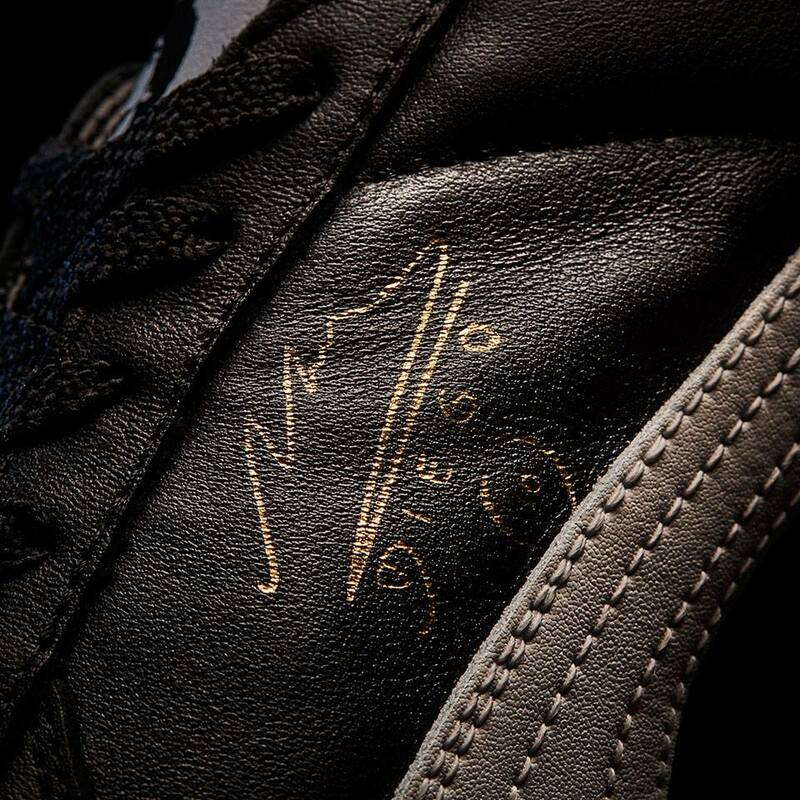 From the portrait of Maradona on the tongue of the boot, signature on the upper of both boots, embossed number 10 on the heel of the boots, and of course the party pieces the map of Maradona’s run for “The Goal of the Century” on the insole alongside the description of the goal on the inside of the tongue. 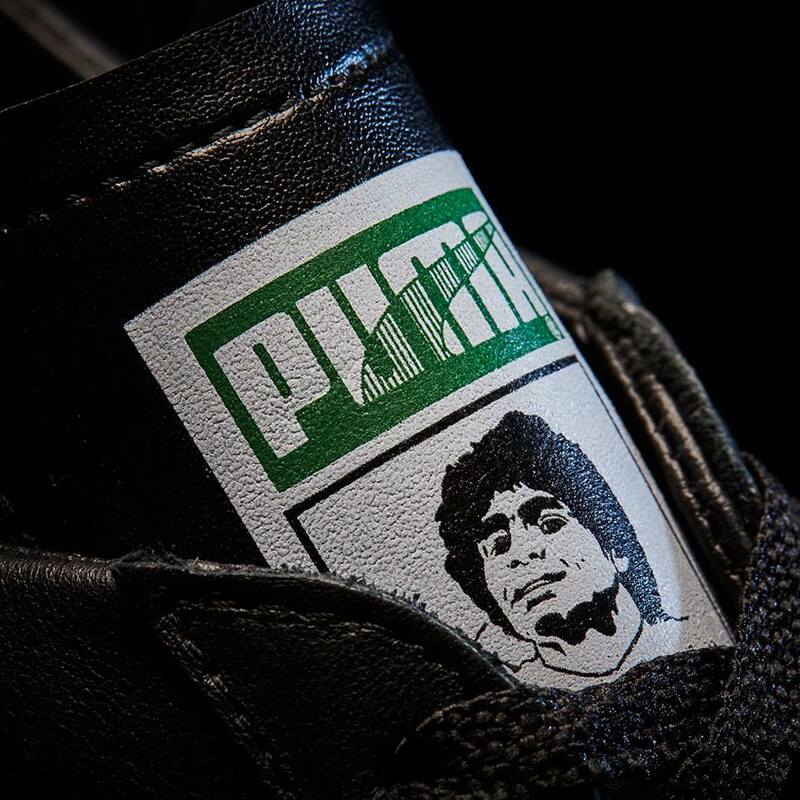 Puma have gone all out with the homage to Maradona. But what about performance? I hear you ask. This is definitely a heritage boot and so it won’t be for everyone. Puma actually brought the original boot out of their archive to ensure that they were accurate to the boot. 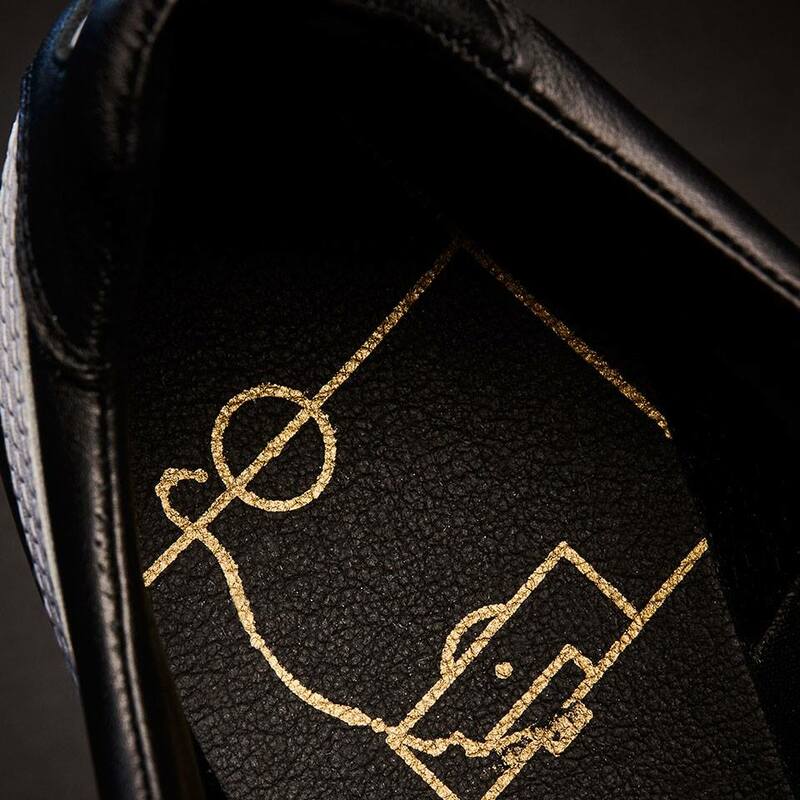 You’re getting a supersoft kangaroo leather upper designed for comfort and a quality feel on the ball (remember if it was good enough for Maradona, it should be good enough for you). The upper is light on stitching and has a kind of runner look to the forefoot. 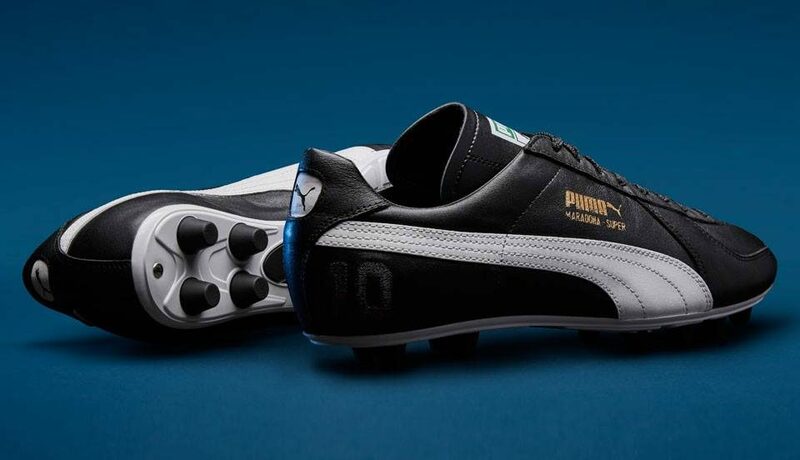 Also back is the King’s classic TPU soleplate featuring conical studs which will be great on grass or turf- or your mantelpiece, but I would rather you wear these and try to pull off your best Maradona, as conical studs are still the best layout for boots. Now as for weight; a boot inspired by 1986 is always going to be a bit more full bodied, I pulled my pair of Mexico Finale’s (made in honor of the 25th anniversary of the 86 World Cup, oddly enough) and they tipped the scales at 10.3oz and you can expect something similar from the Maradona Super edition. 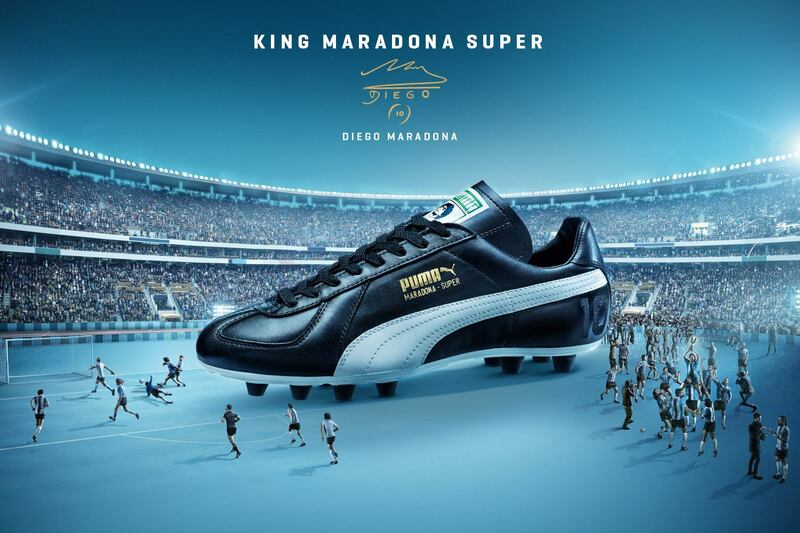 The Maradona Super is truly a super offering from the Big Cat. But it comes at a price, $274.99 to be precise. So is it worthwhile? That’s a question only you can answer. 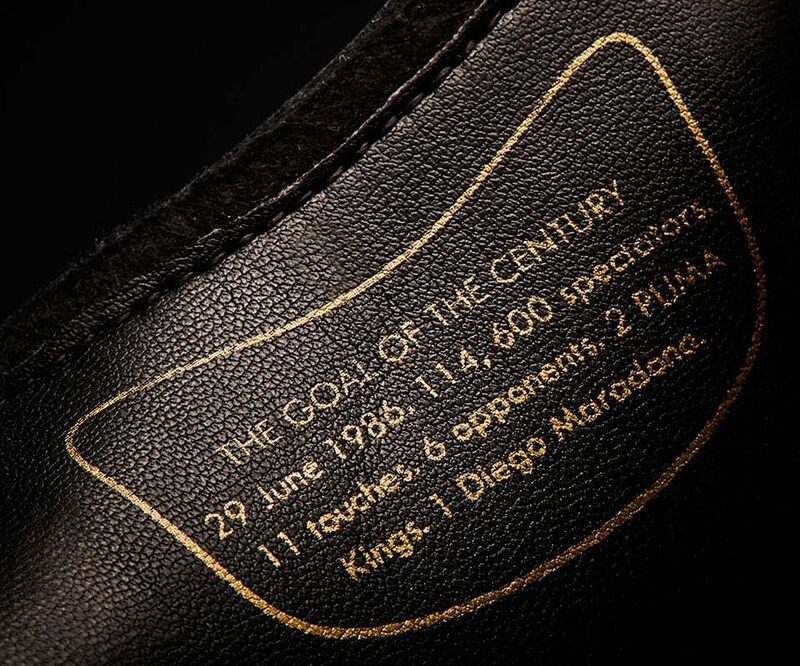 If you want to own a pair of boots cut from the same cloth as those Maradona wore in 1986, then they probably are worth the price. Regardless they’re a stunning piece of kit and a welcome change from the ultra modern releases we’re getting on a near daily basis. If you’re keen on the Maradona Super you can find them at soccer.com where if you’re a GOAL Club member the price is actually a bit cheaper at $247.49; and it’s pretty much guaranteed to sell out quickly. Hello please how can I purchase for one?